The Congress president informed about his trip to Italy on Twitter. He also wished everyone Holi greetings. Congress president Rahul Gandhi on Thursday left for Italy to surprise in maternal grandmother on Holi. My Nani is 93. She’s the kindest soul ever. This Holi weekend, I’m going to surprise her! I can’t wait to give her a hug.... #HappyHoli to all of you. Have a joyful celebration..
Rahul Gandhi’s maternal grandmother Paola Maino lives in Italy. The COngress president had celebrated his 47th birthday on June 19 with her. 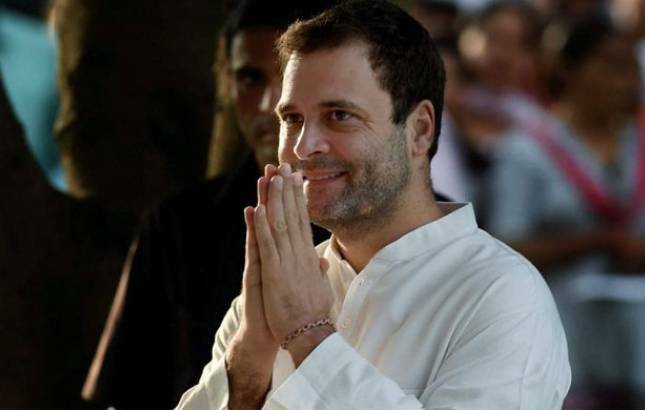 It is being speculated that Rahul Gandhi will be abroad on March 3, the day when poll results for Tripura, Nagaland and Meghalaya will be announced.